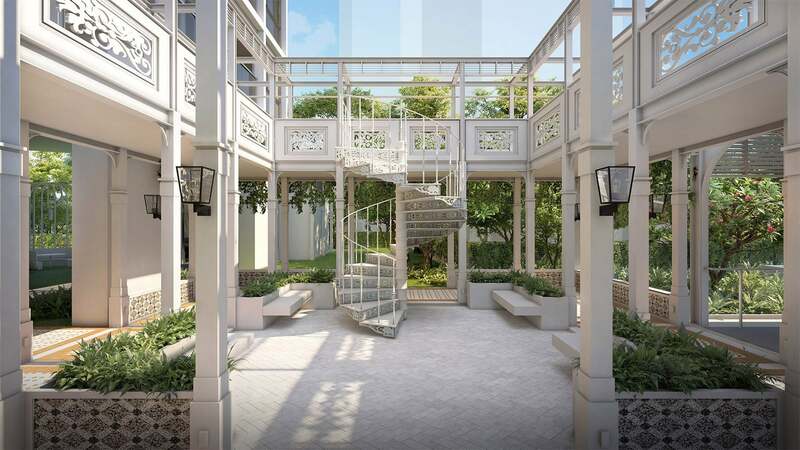 NYON Amber: FREEHOLD at D15, 2mins Walk to Tg. Katong MRT. Latest Update! NYON Amber is an exclusive Freehold residential development located at Amber Road in District 15 of Singapore. Standing 18-storey high, the development is within walking distance to future Tanjong Katong MRT Station which puts you in fast touch with the city and beyond. Drivers will enjoy easy access to major expressways such as East Coast Parkway (ECP), Marina Coastal Expressway (MCE) and Kallang–Paya Lebar Expressway (KPE), thus getting to Central Business District and Marina Bay Financial District is just a short drive away. Many renowned schools and educational institutions are nearby including Tanjong Katong Girl’s School, Tanjong Katong Primary School, Tao Nan Primary School, Chung Cheng High School, Dunman High School, Canadian International School and Chatsworth International School. Nyon’s location offers the ultimate convenient to families with children of any age to study just minutes away from home. Nyon is in proximity to the East Coast Park where residents can enjoy a host of lifestyle activities. Nature lovers and outdoor enthusiasts can engage in activities such as sporting, dining and recreational activities in the park. Myriad sporting activities such as beach volleyball, cycling, cable skiing and various water sports are available in this urban getaways. Amber Road is also associated with the Chinese Swimming Club. Nyon offers a good range of unit type configuration range from 1 to 3- bedroom, catering to singles, couples and different types of family nucleus. The apartments are elegantly furnished with quality finishing and fittings from Laufen, Gessi to Bosch. Offering a sanctuary away from the bustling city centre, Nyon residents can come home to a comprehensive list of communal and recreational facilities that include a clubhouse, pavilions and swimming pool. Stay connected to your home with technology. The smart home features let you enjoy everyday conveniences that sync to your lifestyle. st in functionality and form. Recent awards include: The Best Apartment Singapore 2015 for Three 11, The Best Apartment Asia Pacific and The Best Apartment in the World 2014 and the Silver Residential I-DEA award 2012 for 1919 The Black and White Residences. Close proximity to shopping malls such as Paramount Shopping Centre, Katong Plaza, Parkway Parade, Roxy Square, L12 Katong and City Plaza.